One-hour private escape experience at the award winning Escapology live escape games in Las Vegas, NV. Attempt to solve the Antidote puzzle where you will have one hour to find the antidote to a lethal virus you have been infected with. Easy to work into your schedule with multiple times available each day. Save yourself first then save the world! 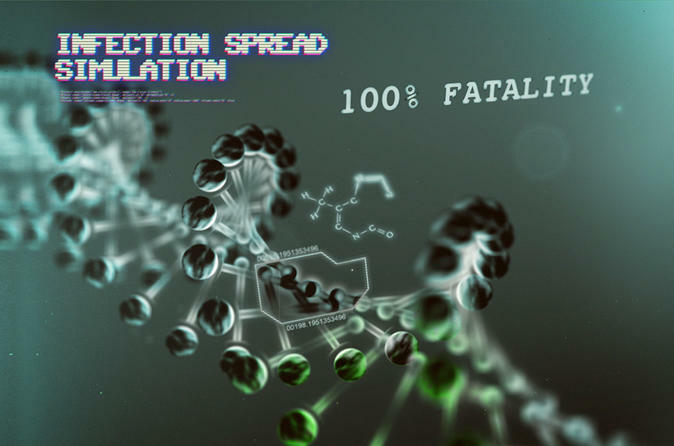 However, during the investigation a clumsy member of your team bumps into a shelf, sending vials of the highly contagious virus crashing to the ground. One of them breaks and sends plumes of deadly vapor into the air. If you do not find the security override code and antidote within 1-hour the facility will self-destruct, and there will be no escape.